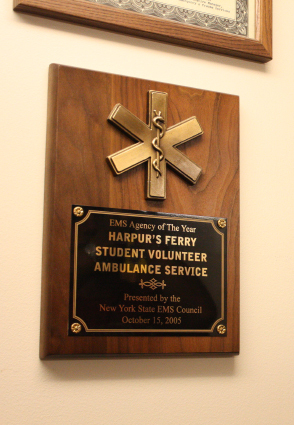 Harpur’s Ferry is an organization that relies on the generous donations it receives from the students of Binghamton University, the State of New York, and from people like you! Binghamton University has provided several ways to donate to Harpur’s Ferry. 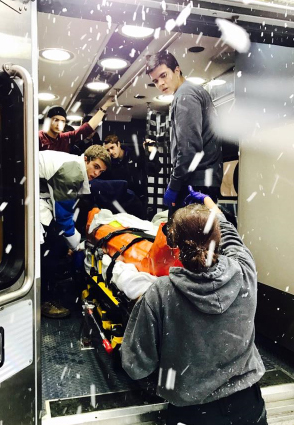 If you would like to make a gift, please go to giving.binghamton.edu and indicate the account name as:Other,please specify, then type in Harpur’s Ferry Student Volunteer Ambulance Service in the space provided. You may also make a gift by calling (607) 777-6209. Or, click here for a printable form that can be completed and mailed with payment to: Binghamton University Foundation, PO Box 6005, Binghamton, NY 13902-6005. Please note that all gifts are tax deductible as allowed by law and are used to support the educational objectives of the University. A copy of the latest annual report may be obtained directly from the organization or from the Charities Bureau, Department of Law, 120 Broadway, New York, NY 10271. Your interest in donating to our organization is greatly appreciated!